One of the biggest problems in the automotive industry is Sergio Marchionne. Here is one person, who seems to be single-handily destroying an entire group. Let me explain. Mr Marchionne was appointed CEO of Fiat S.p.A in 2004. Fiat was not in the best of shapes back then. Yes, it did have an international strategy, but it seemed to have various levels of focus, and its world wide reputation was not the best. It was known for making cheap small cars that were not so reliable after all. Fiat: Here is a great company, which had a great competency: it was one of the best at building basic cheap cars for the masses. Over the years, things were not looking so bright. Yes, the 500 was a success, as was the Panda. But the rest of its models? The Punto was still the same since 2005, the Bravo was a big useless lump of a car, and anything bigger had disappeared. What Fiat needed was a big investment in R&D to bring out new models, but what did Marchionne do? He bought Chrysler in 2009! And what did he do with Chrysler? He brought some of them in the Fiat range and tried to sell them as new cars. I mean seriously, the Freemont? But that is not all! What new Fiats are coming out? Oh, another 500, only bigger, and another 500, only a crossover. He is milking his best cash-cow, the 500, aiming to go after fashion-related purchases. After all, it seems to work for Mini, right? The only problem is, on the one hand, Mini has a much bigger brand value than the 500, and on the other, Mini is a brand in itself. Marchionne seems to forget that Fiat is more than just the 500. Trying to replace the Fiat model range by only variations of a single car is not a good idea. What Fiat needs is to make new models, follow its core-competency, after all, Fiat is more than the 500. The Punto saved Fiat from near death and must be updated. But Marchionne is too focused on the short term, and just looking for the easy way out, by continuously cross-branding and adapting the same car. No surprise they are losing so much money to the point that Chrysler – a company almost dead 3 years ago- is saving them. Why is Chrysler doing well? Simply because they are actively bringing out new models and updating their old range. Why not do the same thing for Fiat? Lancia: Here is a company with great heritage. Top Gear even called it the greatest automotive brand ever. Unfortunately, in recent times, it was not doing so well. The new Delta was anything but a homage to the original (I still cry inside when I see one in the street, partly due to its pointlessness, partly due to the heresy it is. ), the Yspilon was not really selling either, and the Thema was gone. Marchionne’s answer: Use Chrysler. He saw the American company as a great opportunity to re-launch Lancia. Chryslers would be sold as Lancias in Europe and Lancias could be sold as Chryslers in the UK. So the Delta was sold as a Chrysler in the UK, and the 300 and Sebring were sold as a Lancias in Europe for example. Perfect no? Apart from the fact that, in today’s world, you just cannot do brand swapping anymore. If you take an American car that does not sell well in Europe, like the 300, and put a Lancia badge on it, it is not going to sell more. Cross-branding is part of what almost killed General Motors for goodness sake! What Lancia needed was new cars, not old ones! Lancia has everything for a premium brand, but you need to invest money to have the car that follows the premium image! Saying a car is premium does not help, look at Peugeot. But Marchionne did not understand this. He thought Lancia’s problem was the number of cars it offered, so he just stuck badges here and there, and hey presto, you have five cars! Moreover, bastardizing history, like the Delta, is just plain wrong. The result? Lancia sales are at an all time low, so Marchionne, in all his wisdom said he would reduce Lancia to one genuine product, with the rest being rebadged Chryslers. In summary: The R&D budget is 0. In other words, he just engraved Lancia’s tombstone…. Alfa-Romeo: This one drives me furious. Here is a company with one of the greatest heritages of any car manufacturer. It has everything to be a luxury brand. 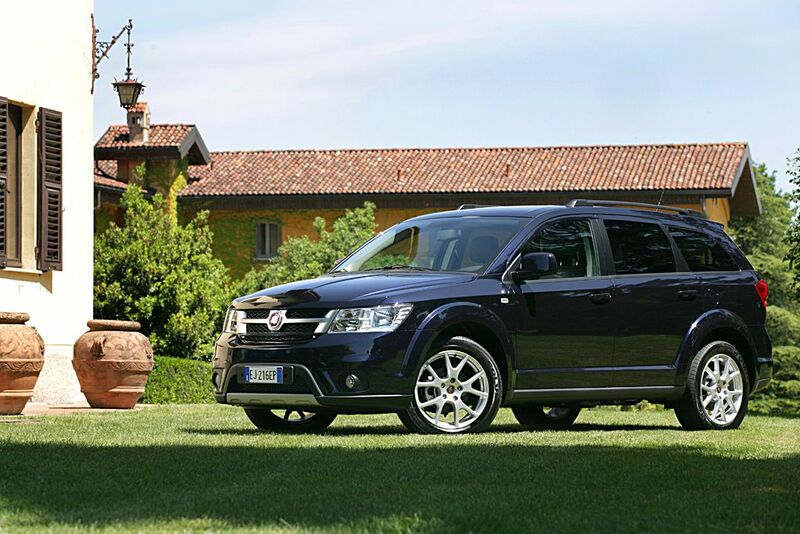 It was failing, as always with manufacturers from the Fiat group, because of a lack of new models. So, we get the Mito and Guilietta, supposed to bring us back to Alfas of great. What they actually are, are a rebranded Fiat and a Delta. Alfas are supposed to be cars built around passion and great engines. What do we get? A fashion accessory and a Delta. How? But then Marchionne says, look, we have the 8C, and then the 4C, cars that rekindle the Alfa spirit. Yes, the 8C is a great car, but what about for real people? The 4C then (if it ever comes out)? Here is a car, with the 1750 TBI engine (which is really bad) and which will be overpriced (since it uses carbon fibre and aluminium). And that is supposed to spearhead the rebirth of Alfa Romeo in the USA, a country famous for simple powerful engines and cheap, accessible performance cars. Oh, and big cars also, usually twice the size of the 4C. To make matters worse, Alfa used to make one of the best engines in the world, the Arese V6. Its sound could be likened to Mozart, being played through speakers made of honey. But it got killed off, for emissions reasons we are told, and we got the 1750 TBI instead. Marchionne wants Alfa to be a luxury brand, but as I keep saying (particularly to French manufacturers), luxury brands need good engines. Not just for sales, but also for image. If the Guilietta had that V6, you know what, I would look at it. The Brera, which looked like God, had a V6, true, but from Chrysler. I wanted to adore that car, but that just killed it. The fact that it also did not handle well and was podgier than a cheesecake made things worse. Once again, R&D is the key to re-launching Alfa, yet Marchionne seems surprised that as things are, they are not selling…BECAUSE IT ONLY HAS TWO MODELS!!!!!! Which leads me to the cause of this rant: Alfa Romeo, is a great brand. Fiat is killing it. However, when another car company, namely Volkswagen headed by Ferdinand Piech, expresses interest in buying it, what does Marchionne say? “Mr. Piech drop it, go and sing somewhere else, […]”. You would think maybe he wants to keep Alfa’s heritage then? The Mito is named after the company’s Italian roots after all, Milan and Torino. No, he just shut down the Alfa Romeo Museum in Milan, Italy, after Italian authorities refused to let him take it down. Maserati: Diesel Ghibli , that is all I have to say…..
And I will not go into his production choices, politics, begging the European Union for money, blaming Volkswagen for Fiat’s worries, fraudulent salary, American ambition, leadership style, long-term vision or lack thereof, ego, false promises, incapability of learning, refusal of the obvious, constant blaming of everyone else etc…. This entry was posted in Auto Industry and tagged alfa romeo, Chrysler, Fiat, lancia, leadership, management, marchionne, maserati, sergio, volkswagen. Bookmark the permalink.